Download the University Ridge Golf Course mobile app to enhance your experience. Mobile apps contain many features like scorecard, GPS, tee times, news, deals and more! Click on the icons for more information and free download. Play where the Wisconsin Badgers Play! Proud host site to the PGA Tour Champions, American Family Championship. 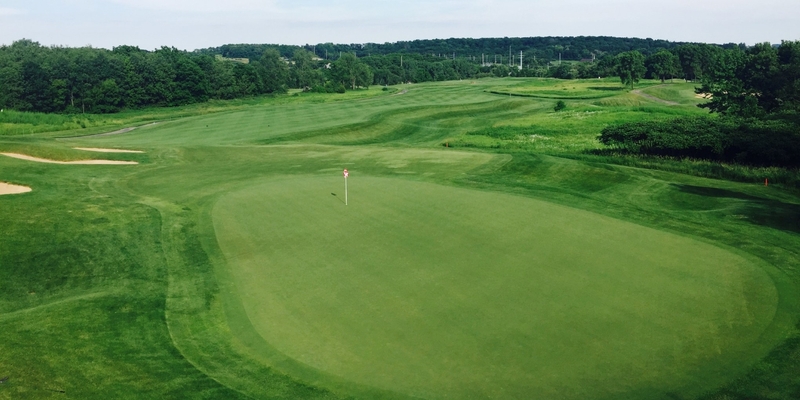 The front nine meanders over lush grasslands and the back nine is carved out of the densest of Wisconsin's woodlands. 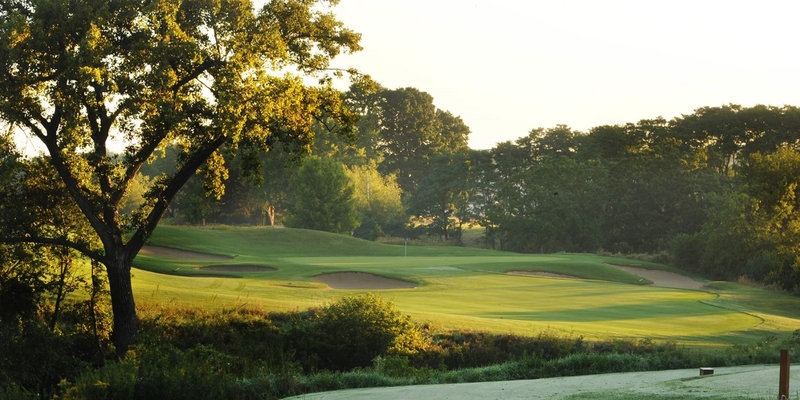 Most recently rated 28th best public golf course in the country according to 2008 GolfWorld Reader's poll. Rated 4 1/2 Stars in "Places to Play" by Golf Digest". 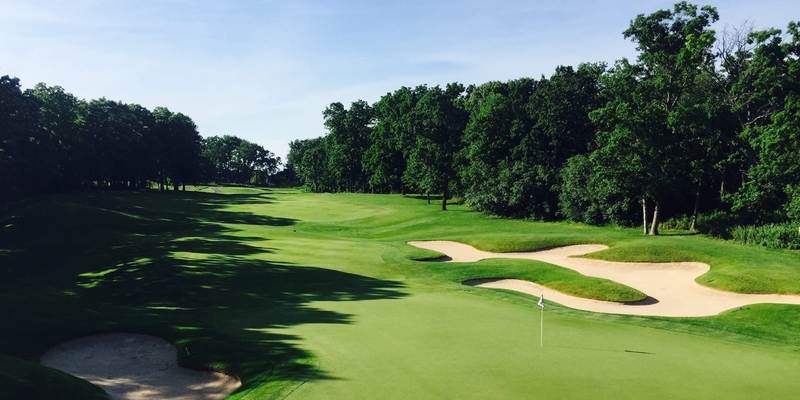 Ranked #9 in "Best Public Access Courses in Wisconsin" by Golfweek. 2009 Ranked #1 "Best in State" and #47 in Country by GolfLink.com. 15 consecutive Best Of Madison awards. Early Summer (May 25th through June 30th)-closed 6/13-6/26 AmFam Champ. From I90 exit Highways 12/18, go west to Verona Road (Highways 18/151), south on Verona to Highway PD, west on PD 3 miles to course. Up to 14 days in advance. Tee times may be booked outside of 14 days for $10 extra per player and you will be given a $10 merchandise credit with this advanced reservation. Golf outings can be reserved anytime. 2014 Ridge Club-Receive approximately 50% off all regular and twilight tee times and 50% off practice facility usage. Let's face it there is no shortage of courses to hold your golf event in the state of Wisconsin..... BUT, I assure you, there are none that will do a better job of providing your group with a fun, enjoyable golf experience and a "can-do" attitude of service to back it up. That is why University Ridge is the most popular choice for tournaments and outings. Whether the outing is for client appreciation, a 144 player charity tournament, 16 guys on a golf getaway or just a company fun day, we work hard to ensure you're completely satisfied. More and more corporations, associations and private groups choose us each year and return to University Ridge again and again! 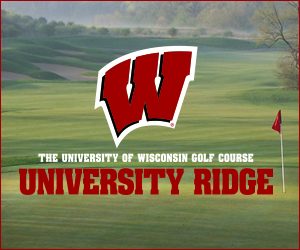 Contact University Ridge Golf Course at 608-845-7700. W Grill offers an outstanding full menu during the golf season. Grab something at the turn or come on out for lunch to enjoy the atmosphere of the University of Wisconsin Golf Course. 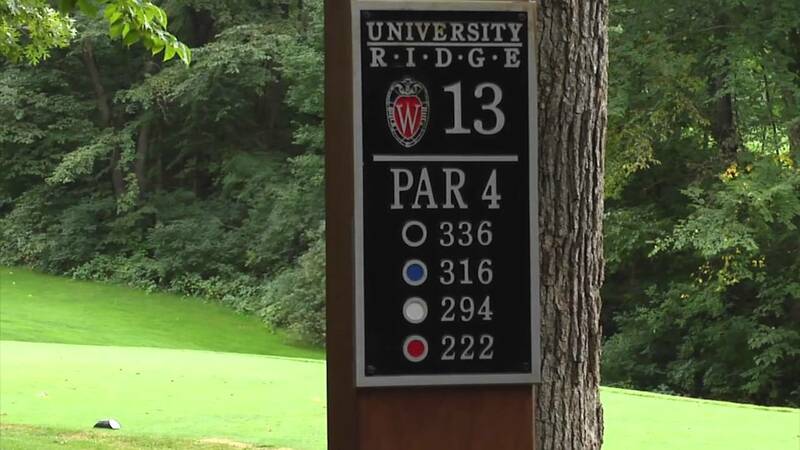 Watch the University Ridge Golf Course Video. One of the best proshops in Wisconsin. This profile was last updated on 04/16/2018 and has been viewed 88,035 times.